This level is hard as you need to make combos within 30 moves. For this level firs you should try to break black blockers. As you will back you could have three wrapped candy and striped candy that you could use two of them to make combos. After try to make striped candy and wrapped candy any where to reach requirement. 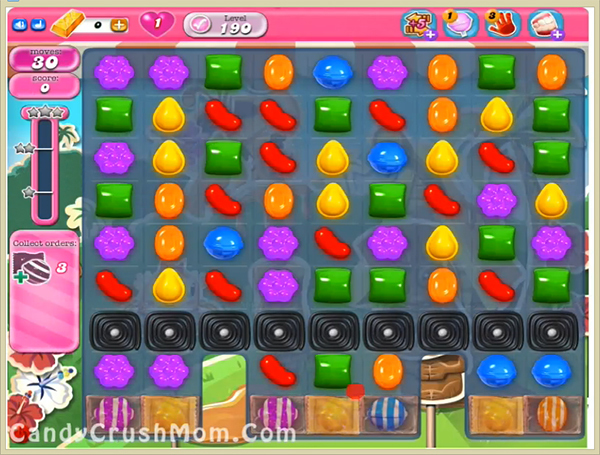 We completed this level with 73880 score using same strategy that we wrote above and easily made three striped candy plus wrapped candy combo with three star score.